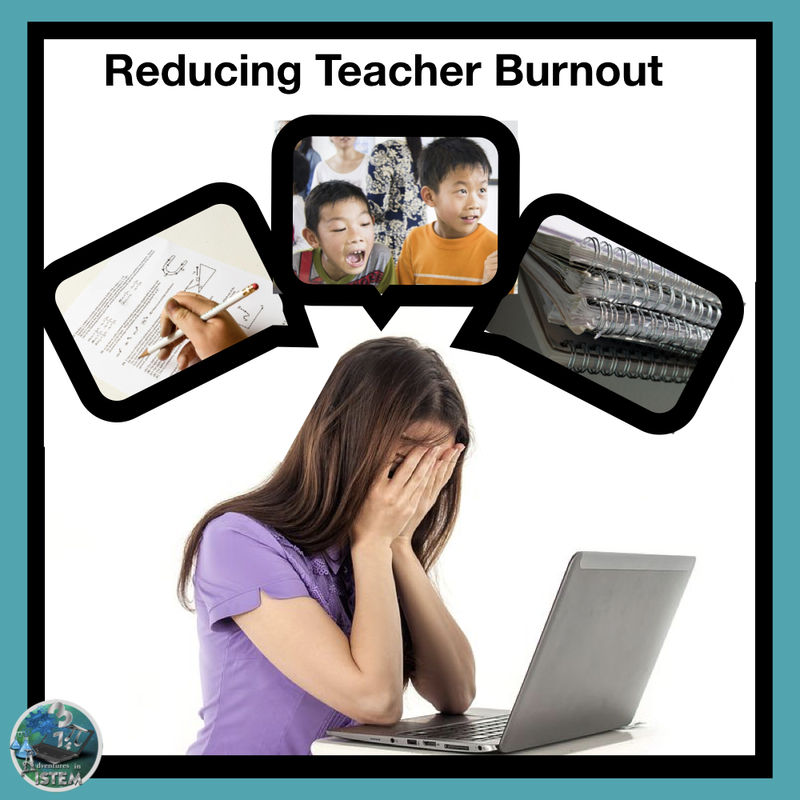 I have been teaching for almost 20 years so I know how stressful and draining teaching can be. I see new teachers trying to do it all. Coming in early, staying late, having students in their classroom at lunch and then going home and working a few more hours. By the time winter break hits they are tired, sick, and thinking of changing careers. 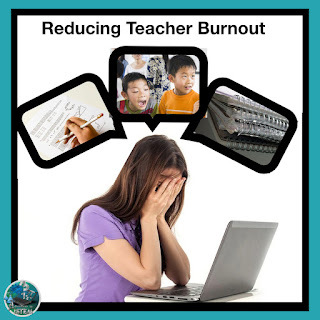 If you are one of those teachers or have a colleague that feels that way, here are a few tips I have learned to help with teacher burnout. I know you want to help your students and give them the extra support they need. I get that. However, you also need time for yourself. I offer two days a week in the morning, two days a week in the afternoon, and two days a week during lunch for students to come in for extra help. The students that really want to improve and do something about their grades and missing assignments will come in during those times. If a student can't make those days then I will occasionally come in at a different time if they talk to me ahead of time with a reason for why they can't make the set times I have. By having set days and times you allow time for yourself to work on lessons, recharge, grade, and get things done. It is so important to not take home any work on the weekends. Weekends are your time. It is a time to get away, rejuvenate and forget about work. It might be difficult at first to not take work home. You might feel that you are behind in your grading and your planning. Or you might feel that the students will get upset if you don't give them their assignments back within one day. Understand that the world will not come to an end if the students have to wait two or three days for their grades. They will survive. Students will understand that you do have around 180 papers to grade and that grading that amount takes time. One thing I like to do is to have my lesson for Monday ready to go on my desk and then whatever grading I didn't get to I leave in my "to grade" pile as I leave on Friday to go home. I will then come in 20 minutes earlier than normal on Monday to just breath, set my intention for the week, double check that I am all ready, and if time permits tackle some of the grading or lesson planning for the next day. Stop grading every single assignment. If you have five or more classes than you have 150 or more students. You do not and should not be grading every single assignment. I don't grade assignments until the end of the unit. I allow them to learn and try new things with the understanding that they should be able to try learning new things without being penalized for not knowing the information at the beginning. During the unit I will check off that they are doing the homework as a work habit grade and we discuss the homework in class and go over the answers, but it is not a grade. You can also train the students to give themselves formative grades where they determine their own grade based on a rubric scale. 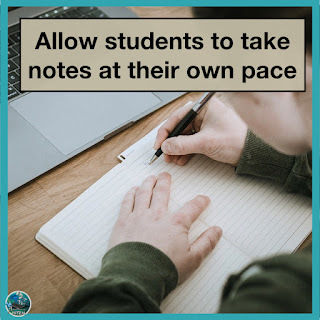 This helps them to be more responsible for their learning, trains them to take ownership of their work, and helps them better understand what they need to know in order to achieve the grade they want. I allow my students to email me if they have any questions or want help on assignments. Although my email goes directly to my phone, I do not check it all day long. I tell my students that I will check it three times a day. Once in the morning, once an hour after school is out and once again before 9 o'clock. If they have a question that they need answered right away they can call another student. If they wait until after 9 to start their assignment then they know that I don't check it again until the morning. 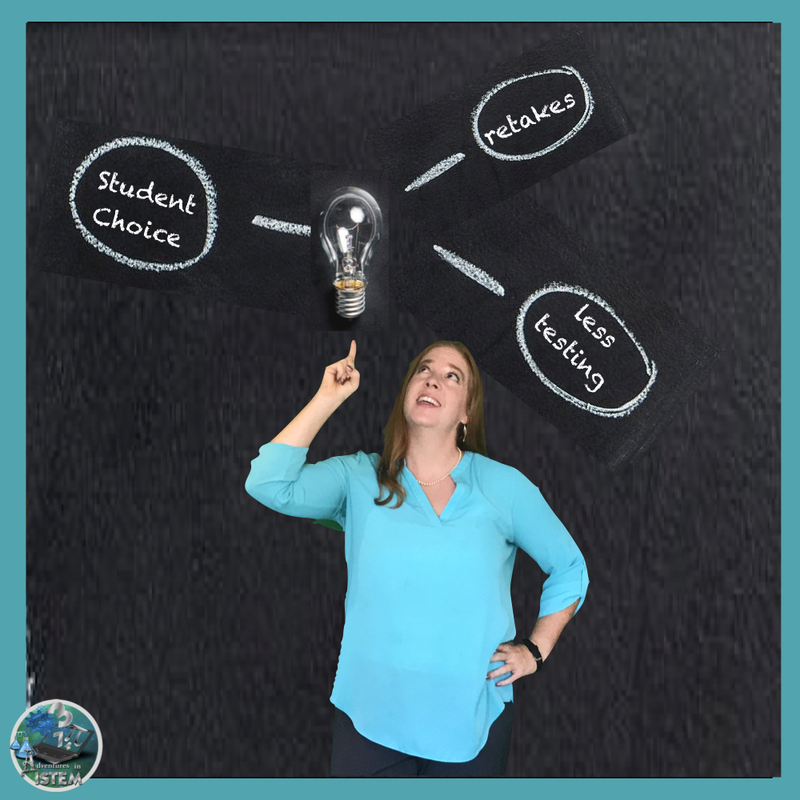 It is not your problem that a student chose not to do a homework assignment, chose to stay home on a test day, or chose not to manage their time and do their project. This is the students problem. They made a choice not to do an assignment. They made a choice to not find out what they missed the day after an absent and make up the work. You are not helping them by bending to their needs and wants. You are not making them successful adults by catering to them. Have a place where you put the assignments of missing students and make it their job to get the assignments. Have them come for help on days that you are staying after school, not whenever they want to. If a student turns in a late assignment I grade it at my convenience when I have time, not as soon as possible because they want their grade changed. I make a deadline for when they can turn in missing work or change their grades. If they are absent or don't meet the deadline I explain that it is a perfect learning opportunity for them but I don't change the deadline. Holding them accountable for their actions is one of the best things you can do for your students. This might seem harsh and I know that there are sometimes circumstances beyond a students control. I do look at individual cases and might modify for a special case but I have found that when you have certain expectations and the students are aware of them that they usually rise to meet them. Taking a few metal breaks a year is extremely important. If you are feeling worn out, discouraged, or you just need a break than take it. Your students will survive. 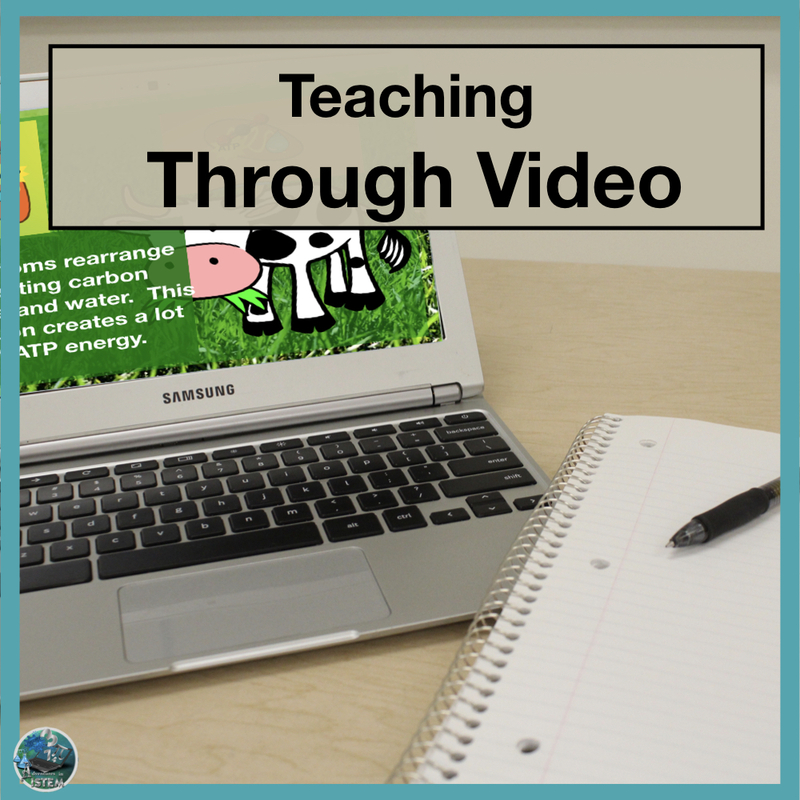 Give them a video to watch and take notes or a reading to do with questions to answer. Make it a day that you would normally do direct instruction or a day you would give them basic information about the topic. Then take the day off and do something for yourself. Go for a hike, go to the beach, get a massage, binge watch your favorite TV show. It doesn't matter. Just take time for yourself, recharge, and forget about work for one day. You will feel so much better when you do. Taking time for yourself will help you better serve your students. October and March are usually the longest months of the year. In the beginning school starts and we are all refreshed and ready to go with our amazing ideas. By October all that enthusiasm is wearing down and Thanksgiving break seems like it will never come. The same thing happens during March when the students start to smell summer and spring break can't come soon enough. It is during those times when you are feeling worn out that taking a mini 3 day vacation and getting away does a body good. Just a simple short vacation can really help get you through to the next school break. Make sure you are doing something that you really enjoy on your weekends. That could be painting, hiking, gardening, reading a good book, watching a movie... The possibilities are endless. The important thing is that you are doing something for yourself. For me that means getting a massage at least once a month, doing yoga, walking on the beach, and meditating. In order to take care of others, you need to first take care of yourself. So do something that you love that is just for you. Teaching can be a lonely profession. Unless you have time built into your week to talk with other teachers, you are usually figuring things out on your own. If you don't have built in collaboration then find a time and a place to talk with other teachers that are teaching the same subject or grade you are. Share ideas, get advice, discuss what is working and what is not working. There are some great teacher groups on Facebook where you can ask questions and advice and give advice. I highly recommend joining facebook just for the collaboration benefits. Why reinvent the wheel? Your time is precious. Even if your are only using the curriculum that is given by the textbook company it still takes a while to put it all together and many times the curriculum that is produced from the textbook company is created from people who have never been in the classroom or have been away for awhile. You can find some great lessons online that are created by teachers. They already put in the hard work so you don't have to. Do a google search or use a site like Teachers Pay Teachers to find exactly what you need. Tests, tests, and more tests. Do you sometimes feel like all we do is test. 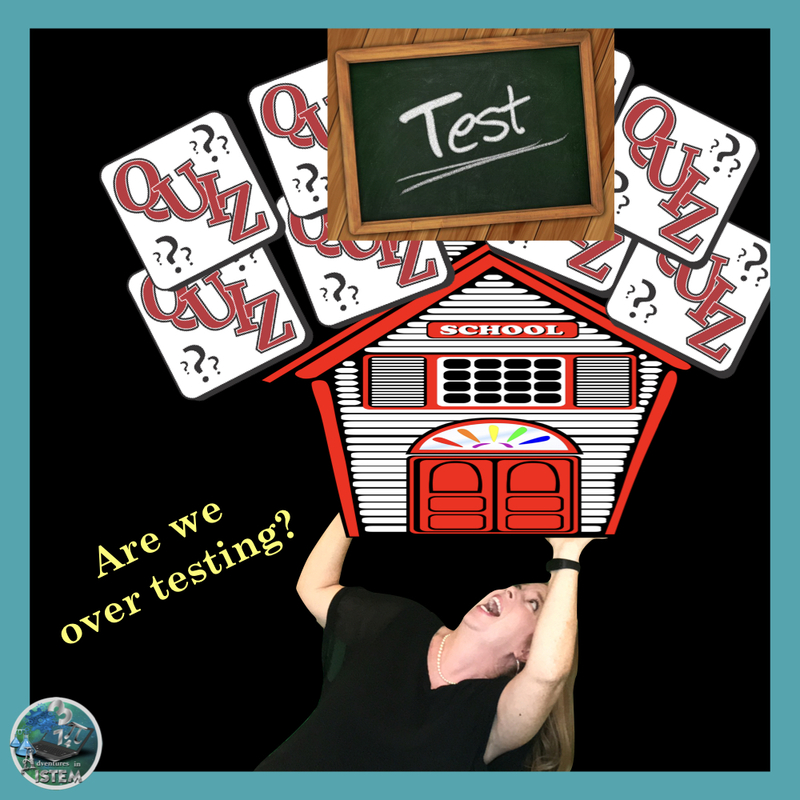 Between quizzes, unit assessments, quarterly tests, semester finals, and state testing it seems like students spend one third of their school time testing. They are told that they need to make sure that they are meeting their A-G requirements so that they can get into college. They are told to take more AP classes. They are told that they need to get A's in order to be competitive and get into the college they want. All this just leads to kids feeling more pressure, more anxiety, and more feelings of being failures. I have had students that have gotten upset because they had an A- and didn't think that was good enough. I have had students miss school because the anxiety of being the top in the class was to overwhelming. I have known students who have given up after getting a C on a major test because they would loose their 4.0 GPA and felt they would not get into the school of their choice after that. As teachers we are told that our students need to be at a certain level by the time they leave our class. It doesn't matter what level they start, they all need to be mastering all of our subjects standards by the time they leave. Some states put so much emphasis on this that amazing teachers that can raise students by three grade levels are told that they are poor and ineffective teachers because raising the students three grade levels is not enough when those students need to jump four or five grade levels just to be at standard. Is this what the focus of school should be? Should it really only be about teaching the standards, preparing the students for the high stake tests, and focusing solely on the academics. In my opinion No. In fact its a loud NO! School should be a place where students can develop their creativity. It should be a place where students are allowed to take risks and fail and learn from those failures. It is a place where they learn how to socialize both in person and online. It is a place where they build their problem solving skills. It should be less about testing and more about growing. So many times the focus is on sending students to college. Not every student needs to or wants to go to college. Students should not feel that they have to go to college in order to be successful. So what can we do to change this test focused, college is the only path, culture we are creating? Here are some steps we can take. #1. Give less tests. 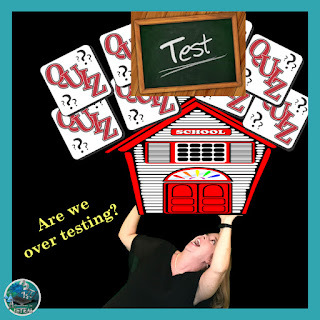 Look at how many tests you are giving your students and try to eliminate 25% of them. That doesn't mean you aren't assessing them. You can still assess them and give your students feedback. I'm talking about the weekly tests that some teachers give. The small quizzes in a unit before the unit test. If you feel you still need them so that the students know how they are doing then consider not assigning a grade for them. Just have them take it as a formative to lead your instruction. #2. Allow students to fix mistakes. Let students know that mistakes are a part of learning. Allow them to improve their projects, to make test corrections, and then retake tests. I would even take it another step forward by allowing their grade to change completely, not just giving them partial credit for retakes. Consider the amount of learning that must take place in order for a student to change a D project into an A project. Or to change their grade from a 45% on a test to an 85%. That amount of self-motivation, self-determination, and self-guided learning should be rewarded. #3. Offer student choice. Let them choose their own way to demonstrate that they know the topic. 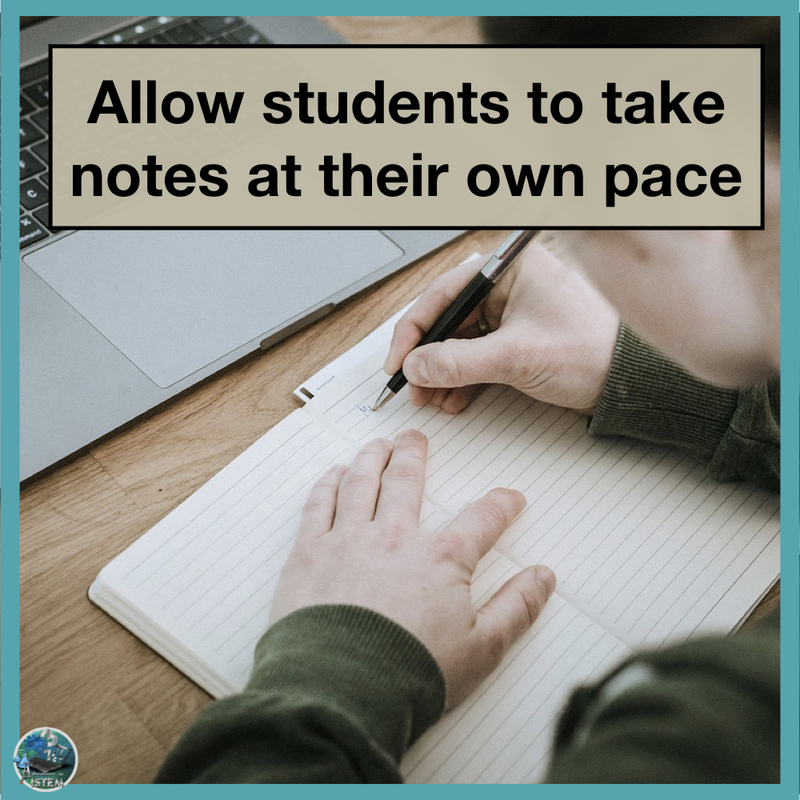 They will put more effort into a project that they want to do and are interested in than something that a teacher assigns. Consider the possibilities if you let them write their own children's book about the topic, create a video about the topic, make a podcast, draw an infographic, or create and sing a song. The students will be creating what they like and in the process will be learning more about the topic. What are some of your suggestions? Please leave your thoughts and ideas in the comments below.